Quote: It’s the age of surveillance what made the Use of Encryption so widely that it has become a need of law enforcement agencies, cyber criminals as well as every individual. But, encryption is not so easy. To solve this problem, a 23-year old Cryptocat developer Nadim Kobeissi is ready to release a simple solution to deliver strong encryption at the HOPE hacker conference in New York later this month, which may soon come as an extension for Google Chrome web browser, Wired reported. 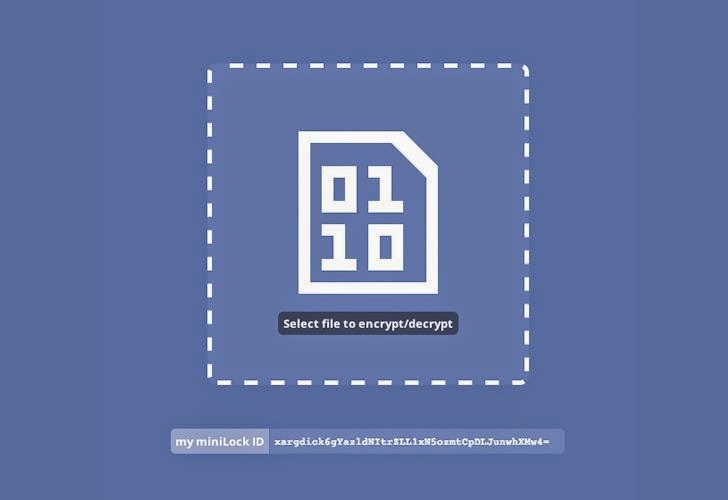 The encryption program is dubbed as miniLock, which is a free and open-source browser plugin designed to let anyone encrypt and decrypt files in seconds using a drag-and-drop interface with practically unbreakable cryptographic protection. Hope they release this soon, I'd actually pay to have this plugin installed on my chrome. Don't like the ideea of beeing watched by the government.